The darker side of the military is a touchy subject for Hollywood, as it’s supposed to be an outfit that sets a glowing standard of honour and nobility for everyone. 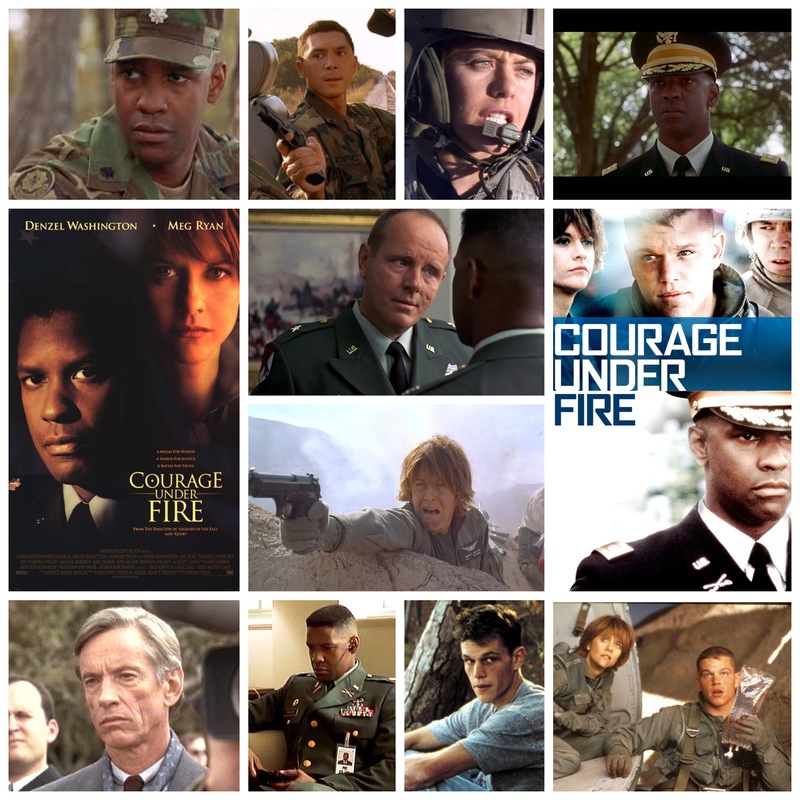 But, like any other business or organization, it has a flip side too, and in Edward Zwick’s Courage Under Fire we see just what can go wrong in the ranks when no one is looking. Denzel Washington plays a traumatized gulf war vet who is tasked with assessing whether a heroic, deceased helicopter pilot (Meg Ryan) is worthy of the medal of honour, which would be awarded to the first female officer in history. Only problem is, testimonies from her fellow comrades in arms simply don’t add up. Two in particular, played by a gaunt Matt Damon and an excellent Lou Diamond Phillips, certainly know more than they let on and appear to harbour some deep guilt riddled scandal. With some help from a stern superior general (Michael Moriarty) and a journalist source (Scott Glenn) Washington must navigate this minefield of misdeeds and deception, and the story takes him to some fairly visceral, intense places. It’s just shy of melodrama when the secrets do come out, the third act a horrifying exposé, everyone’s expectations and image of the platoon unravelling. The rest of the soldiers are played by a hectic bunch including Bronson Pinchot, Zelijko Ivanek, Sean Astin, Sean Patrick Thomas and Bruce McGill. Ryan fares well in a role that’s essentially just a plot device, as we already know the eventual outcome of her arc, but she adds mystery and resilience to the scenes she does get. It’s like a political horror story, this one, showing the absolute worst outcome of a situation like this, and the lengths some scared individuals will go to smother any mention of it. Zwick handles the broad strokes well, and we end up with quite a stalwart, fiercely made war piece.